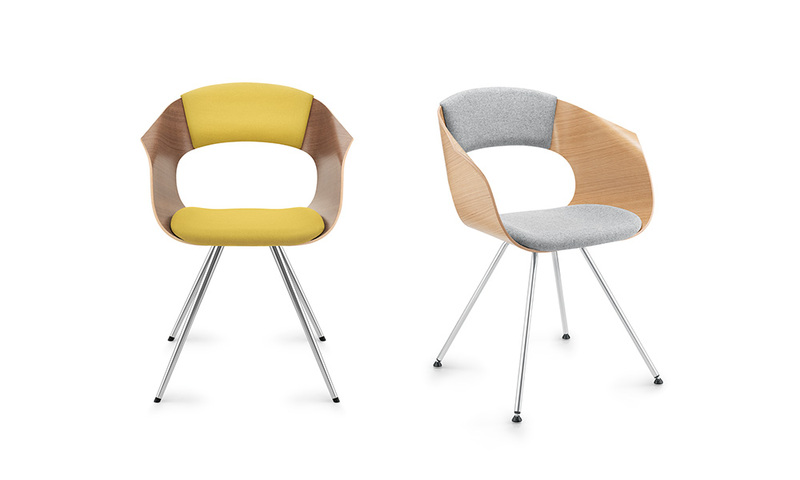 Bonito is a wonderful range of wooden shell chairs, available in oak or walnut. Whether on an elegant four-legged base in chrome metal, polished aluminium or fine wood, with a steep 4-pointed star base on glides or castors – it can adapt to a wide range of different situations. The comfortable seat cushion comes as standard; if you want even greater comfort, you can have a backrest cushion as well. 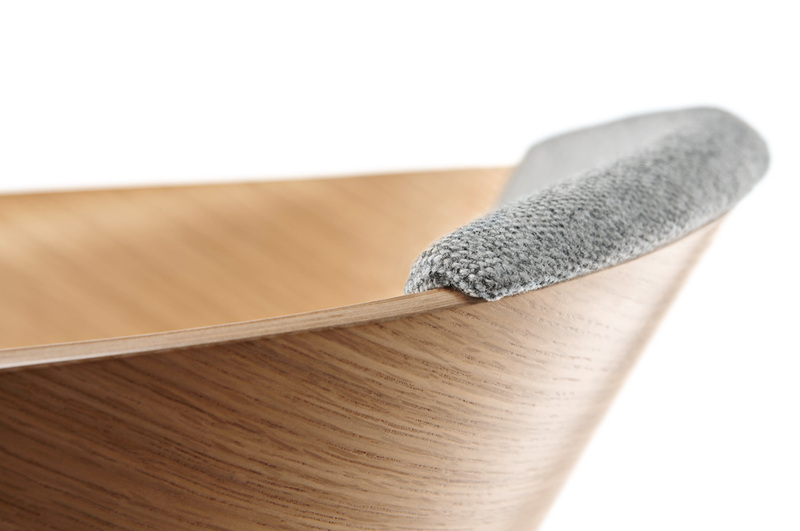 Bonito embodies the finest seating craftsmanship. 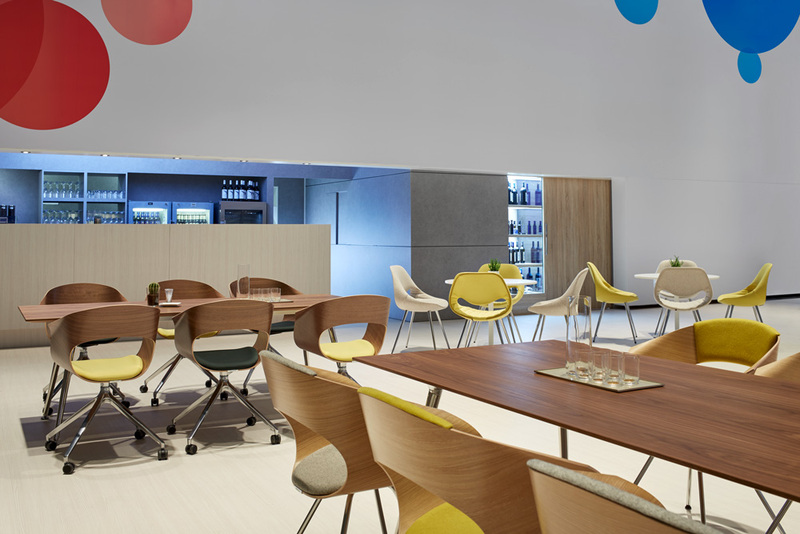 Bonito base options are a chrome steel, polished aluminium, solid feet in oak or walnut as well as a 4-star base on castors or glides are available to choose from. 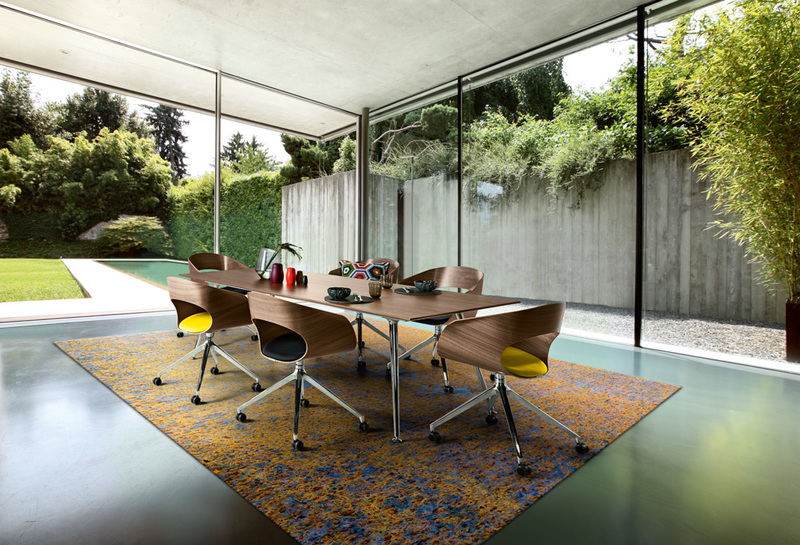 Shell is available in 2 different wood tones. 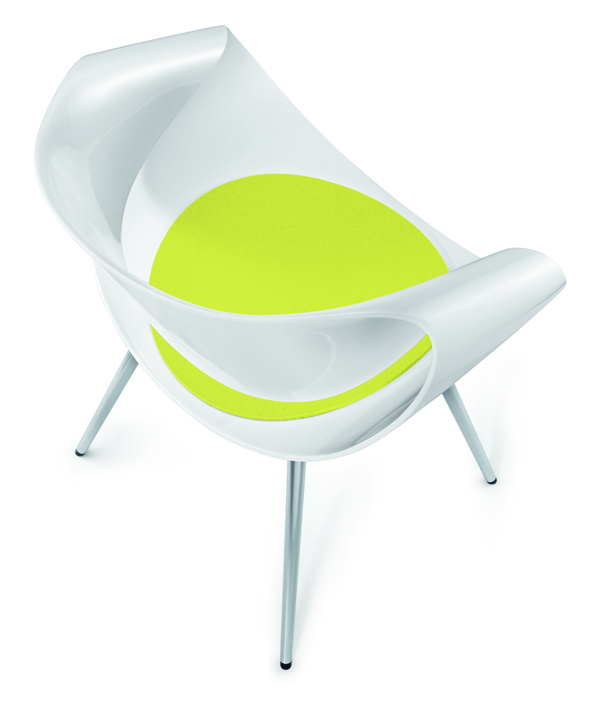 A backrest cushion providing additional comfort is an optional extra. 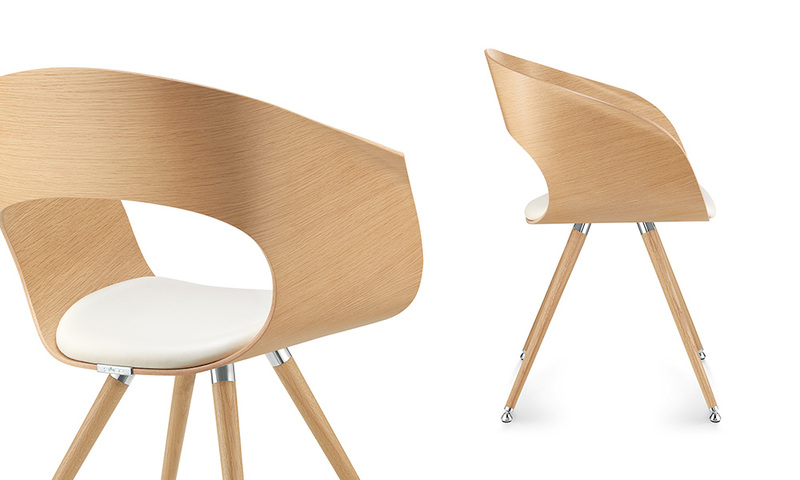 Bonito is manufactured through multiple-bonded layers of wood form the visible structure for the curved substructure. 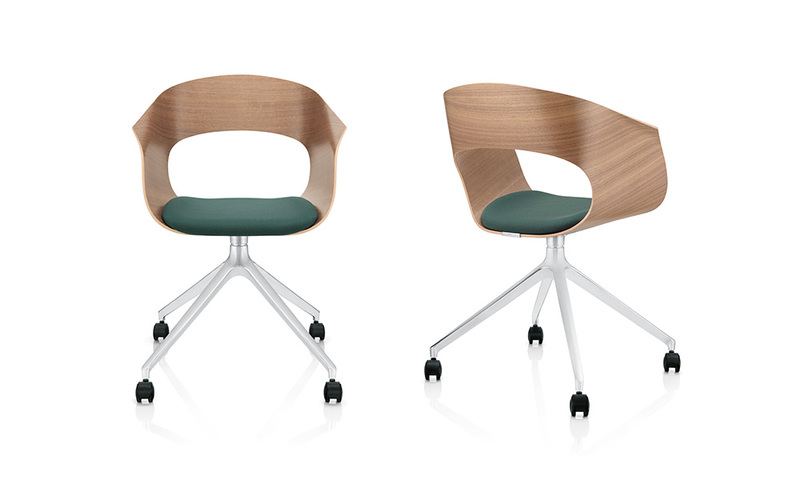 The chosen thickness of the wooden shell guarantees flexibility that provides a high level of seated comfort. 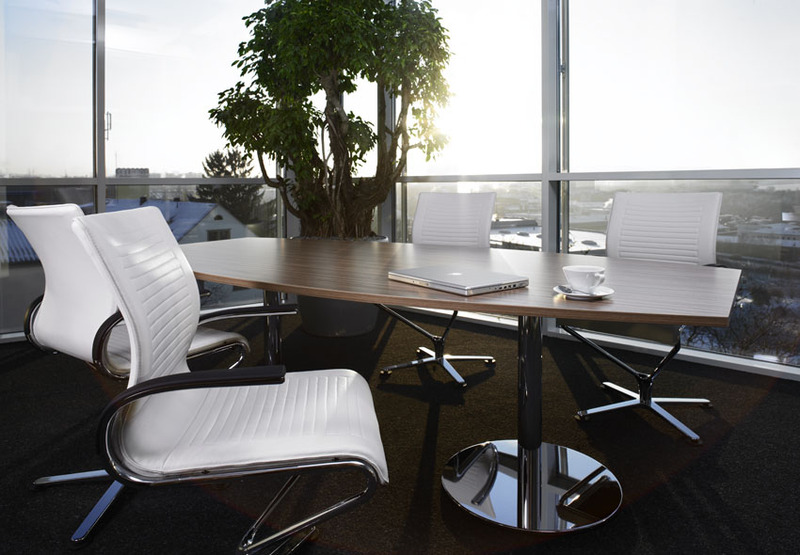 A layer of the finest real-wood veneer in oak or walnut on the outer surfaces gives the chair its character. 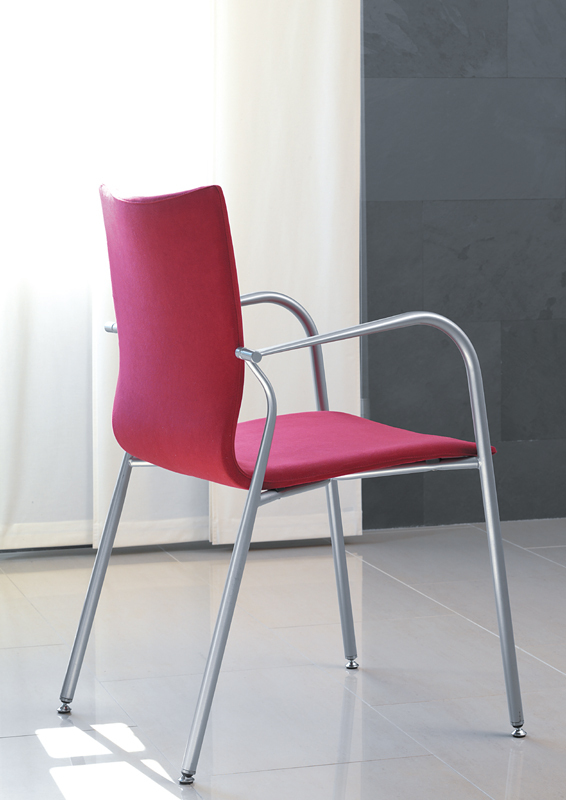 Bonito is covered with a leather or fabric seat cushion as standard.